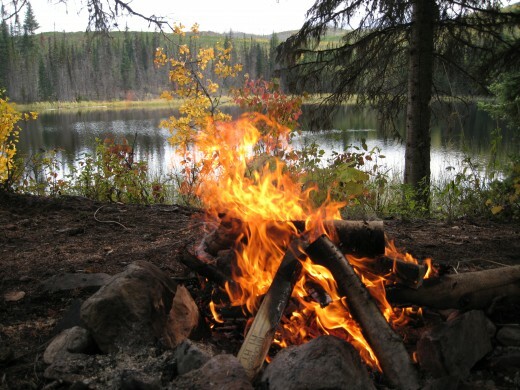 A successful campfire is an essential ingredient for a successful camping trip. Campfires are not only great for keeping warm or cooking delicious meals, they are also the perfect central gathering place for telling stories and toasting marshmallows! If you’ve never lit a campfire before then this article is for you. Understanding the basics of lighting a simple campfire will come in useful before you head off for your next camping trip. 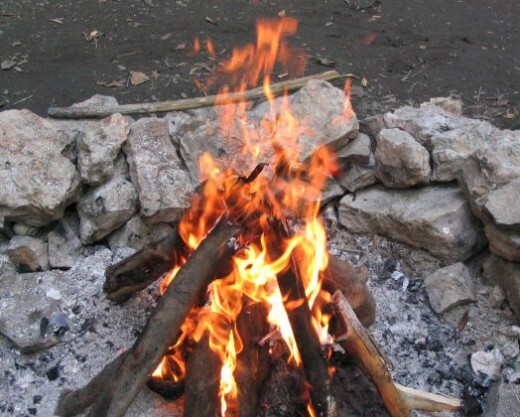 For the absolute simplest way to light your campfire, follow these few easy steps. 1. Preparation. Being prepared for building a campfire by ensuring that you have everything to hand is the most important step. You will need some matches, newspaper, kindling and dry wood. Most campfires will have bundles of wood available for you to buy, but it is wise to check before you go. You will need to bring a hatchet with you to chop the wood up in smaller pieces. 2. Gather kindling: Go in search of some kindling for your campfire. This is a great activity that kids love to get involved in. Kindling is basically a mixture of small slivers of woods, sticks or twigs that are usually found very easily within a few meters of the campsite area. Kindling burns very quickly than larger pieces of wood, and will be the foundation of your campfire. Gather as much as you possibly can; the more you get the better chance you have of lighting your campfire and keeping it lit. 3. 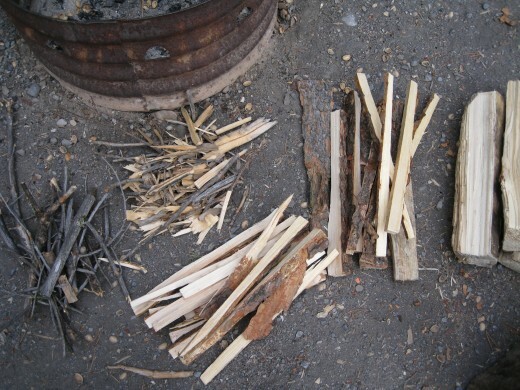 Gather some sticks and smaller pieces of wood: Sticks are dry pieces of wood that are a bit larger than kindling, and will help to get that campfire going nicely. Never cut sticks off trees, instead look around the campsite for dry sticks that are lying on the ground. Also, use your axe to split down the large pieces of wood into some small, manageable pieces. Having a good supply of sticks and thin pieces of wood will encourage your campfire to burn and to prepare it for the larger pieces of wood. 4. Gather your larger pieces of wood. Firewood should be stacked a few feet away from the fire pit. Be sure to keep your wood as dry as possible at all times. 5. Assemble the fire pit: Before you strike that match, you will need to assemble your fire pit correctly. Place some balled-up pieces of newspaper in the center of the pit. Take your kindling and stack it into a “teepee” shape around the newspaper. 6. Light campfire: Light the base of your kindling with a match, shielding any wind as much as possible. The newspaper and kindling should light very quickly, and a gently blow onto the newspaper will encourage it to catch fire. 7. Add more kindling: If required, add more kindling to the teepee formation until it starts to catch nicely. At this stage your will want to add your smallest sticks and slivers of wood to the outside of the stack, at a 45 degree angle, allowing enough oxygen in the center of the teepee for the fire to survive. If you drop sticks onto the top of the pile then your fire will most likely go out very quickly. 8. 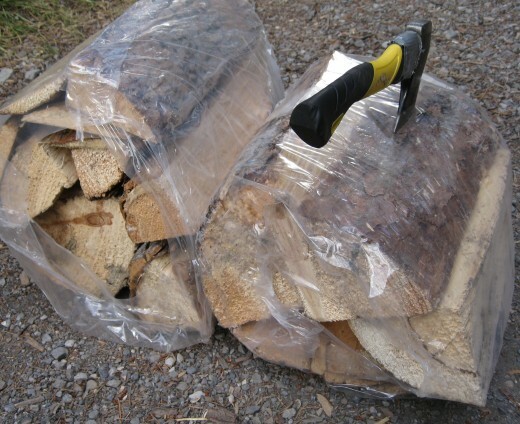 Gradually add larger pieces of firewood: As the smaller pieces of wood start to burn without the assistance of any more newspaper or kindling, then your campfire is ready to receive some larger pieces of firewood. Gradually build up your fire around the outside with some larger pieces, again blowing gently on the fire will encourage the fire to catch the wood. This technique is by far the simplest way to light your campfire. By ensuring good preparation and having all the materials you need close to hand, you can be successful at lighting your campfire and keeping it burning long into the evening. Always consider your safety and the safety of others when enjoying your campfire and remember to extinguish it with water after use. Know the Best Answer to the Question "How Hot Does A Campfire Get?" What tips can you share for lighting your campfire? Hi Rolly, what a great tip! I have never heard of that method for starting a fire but it sounds very effective. I will definitely try that out. Thanks so much! Great Hub and loved all the information... Yet another inexpensive and great way to have an effective fire starter. Take a paper egg carton, fill it with dryer lint and shredded paper. Melt wax and pour it in. Let harden and when you are ready to start a fire slip one in under your wood. light it and in no time rain or shine you will have a roaring fire. I always carry a few in my backpack. They last for years. Great hub, very well-written and engaging. Congrats on getting hub of the day! Personally, I just douse the wood with lighter fluid and toss a match in, but I guess this isn't exactly the safest way to do it! I also gain value from your comments section in your hubs. Many thanks. Voted up and awesome! That you for this informative article on how normal people should start campfires. I find the simplest way to start fires, for me, is to work in the garage or on a car with my father. Most of the time I don't even get burned. Thank you for sharing. Thanks! Ha! About as good as SEO driven writing can be. :) Yours was more interesting! It's my pleasure, Robyna! I thought your hub was awesome and am delighted to provide a link to it. Have a great day. You're so right about those nasty bugs. Sometimes it's good to get a bit of extra smoke to keep them all away from me (because I'm like a mosquito magnet). Glad you enjoyed this one and thanks for your kind words. I never built fires until recently I now have a fire pit.I learned the hard way.Sticks can look dry but if you had rain the other night it still won't light.I love the long lighters that with a few clicks get the fire going good.Great job on hub of the day.There are something very special about a little flame that flickers in the night with people all around.The bugs stay away.That is what I like the best. Hi gay4greek, I appreciate your upbeat and positive comment thank you so much! DzyMsLizzy, That's a great point about checking campsite regulations, they do vary from site to site. I'm happy you enjoyed the info, thanks for stopping by and for your kind comments! I love camping, and yes, knowing how to build a campfire properly and safely is of prime importance. Be sure and check the campsite's regulations concerning open fires: in some areas they are just plain not allowed, and in others, the rules may change depending upon season and weather conditions. It is not necessary to have a giant roaring blaze to enjoy roasted marshmallows, either--a mistake many rookies make. Thanks for sharing such useful information. Happy camping! carolp, I see that you have written lots of travel hubs so I will be sure to check them out. Thanks for reading & commenting on my hub. I like Campfire. It is romantic. It was unforgetable and we had lots of fun as we travelled East Canada for 4 weeks with an RV and we stayed in different excellent Campinggrounds. Drop by and read my hub about our RV Tour in Canada. We made Campfire almost every night. Thanks for sharing. I remembered we had it last summer, campfire.It was a wonderful time for all of our friends.thanks for your tips. ktrapp, hope you have a great time enjoying your fire pit this weekend! Denise, you say the kindest things! I never expected any of this :-) Your support means a great deal, it's been a busy couple of days and I'm still dead set on completing my challenge, just hope I can make it! Naomi's Banner, yep time to pack that camping gear and enjoy the outdoors. This is really good information. We have never been able to get a successful fire going in our patio fire pit and now I know to place things in a teepee style as well as to add the sticks and wood in stages. Thanks so much. I can't wait to try this out this weekend. Hi Cloverleaf congrats on the hub of the day... way to go! I love to go camping and have a fire. 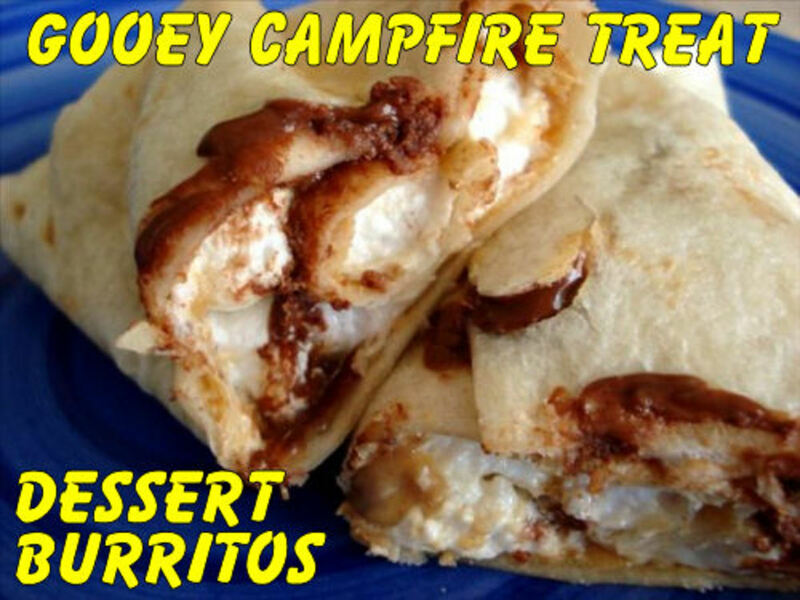 Watch the flames, look up at the stars, have smores ... pudgy pies... oh yes... to be camping now! Look at you, Cloverleaf! Woo hoo Congrats on the hub of the day. Sweet. :) (BTW really cool topic. I love campfires and you did an awesome job). Great Hub! Now to build that camp fire. Oh the days....love the camp fires. This is such an informative article to explain something that I take for granted! Great Job! I grew up in the Boy Scouts so making a fire was something I learned very early in life. My parents have 3 fire pits at their house (a little obsessive, I know!) and I had no idea that my children didn't know how to build a fire! This summer was a great opportunity for me to share this with them and the s'mores that followed were certainly bonding! Great Hub! Voting Up and sharing! Miss Mellie, thanks for your kind words.. as a good scout always says: "I promise that I will do my best"! That's a really neat tip about the pine cone. I'm glad you stressed just one though, I bet it could get a bit scary if you threw on a handful. Cloverleaf, I dub thee an Honorary Scout! That is precisely the most effective means of starting a campfire, and I'm so glad to see that you included the information about not adding more kindling directly onto the top of a smouldering fire. That's a common mistake which quells fires by stifling oxygen flow. Here's another tip: for stubborn fires that just don't want to catch, add a (that's singular!) dry pine cone atop your bundled paper in the center, then surround the bundle with teepeed sticks. The volatile oils in the cone catch fire quite quickly! Don't use more pine cones, unless you want a large--and possibly out of control--campfire. Congratulations on your Hub of the Day accolade! i've never been camping and I am warming up to thought of going just because you made it sound fun really, the reason why I have not been is because the outdoors and I well let's just say the lions and tigers and bears oh my. But I will follow you hope you return the favor. Awesome Hub! I can learn from everyone being my first time. Hi Thelma, your encouragement means so much to me. Thanks! 50 Caliber, you make a great point here, practice makes perfect! Thanks for your vote up. Very informative hub. Voted up and thanks for sharing. Congratulation for the hub of the day as well. Its a awesome hub I really impressed by it. A very important lesson to learn then practice in the rain and snow until you are proficient as one day it my save a life. I carry flint and steel in my pocket every day. Thanks for all your supportive comments, I'm very flattered. What a great community spirit we have here on HubPages! Congratulations on being the Hub of the day! This is a very informative and well written article. Thanks for sharing these tips. Nice outdoors living tips! With fall around the corner this is timely info. Congrats on hub of the day! Joe, excellent comment I appreciate it. EducationCoop, thanks for stopping by! I love doing outdoors stuff, so this is a really helpful hub for me, thanks! Good hub. Having lit plenty of campfires, I know that this is a great way to start fires. If the kindling is wet or hard to light, a pre-made firestarter can come in handy. Peter, you're absolutely right! Thanks, much appreciated. Charmike, I haven't tried it, waterproof matches always seem to do the trick but it might be a good investment if you are out in a very remote area. Jacqui2011, thanks so much, it's all about having fun! I can see this info coming in handy in the future. Great write up! Very interesting hub. I have never lit a campfire before (being from Scotland - its always raining! )but you make it sound like so much fun. Congratulations on being chosen as hub of the day. Have you tried the Bear Grylls fire starter? I am considering buying one. Hey Hyph, you're absolutely right. I wouldn't want to spend hours figuring it out - best to get it done quickly and then crack open a cold beer!!! Very informative indeed. Many folks these days have never built a fire. Knowing the technique could save a life in time of trouble. Thanks Cloverleaf!